New Year. Summer. Christmas. Every year we promise ourselves a time to start ditching the sugar overload and start living a healthier lifestyle, but the thing is, we never seem to get the motivation to start. Giving yourself a deadline or a date to start being a healthier person never seems to work, because it’s an immediate pressure. So, let’s forget those excuses. Just for today, think about all the reasons you want to lose the weight in the first place and get healthier, then think about all the ways you can lead the healthier lifestyle you’ve always wanted to lead. Drink more water. It sounds like such a simple concept, but when you think about it, how much water do you actually drink per day? Not including what you drink in coffee and tea, but clear, plain water? Probably not as much as you should. Start drinking two litres a day at the minimum and watch the aches, pains and headaches you may have been experiencing disappear. Go for more walks. You probably get in a lot of walking around the office, on the school runs and running errands every day. A brisk walk just for you with your headphones in and music on can make a huge difference to your health straight away without much trying. Your body is made to keep moving and like all your other muscles, your heart needs exercise. Add more fruit and vegetables to your diet. You know when you’re at your desk and you start to flag during the day? That moment is usually the time people reach for the cookies and cakes. It’s time to reach for something better. Load a bowl of fruit on your desk every Monday morning and pick your way through it. Craving something sweet? 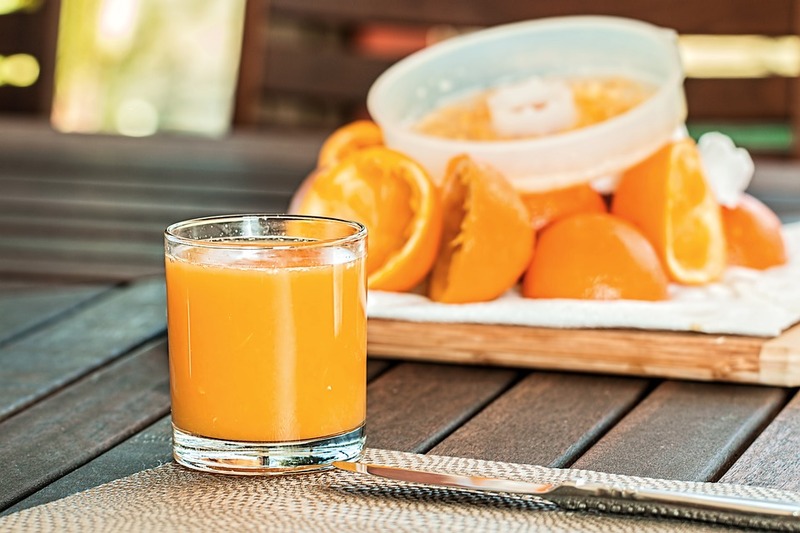 An orange is the perfect boost – and you’re getting in your vitamins, too! Exercise both passively and aggressively. You can take time to centre yourself and focus your mind with a little meditation. You can also learn to go running so that you can work on building your fitness levels. Knowing you are taking care of both mind and body can change your behaviour and your life, so don’t knock it. Think positively. When you want to live a healthier lifestyle, you have to think beyond food and exercise. You can’t have a healthier lifestyle if you are in the same mindset you’ve always been in, so learn to change your thinking about the world around you and watch how the attitudes of others toward you starts to change, too.